Clifton Park Halfmoon Library, located in Clifton Park, NY houses over 175,000 items, many programs on site as well as access to additional resources and services from area libraries. 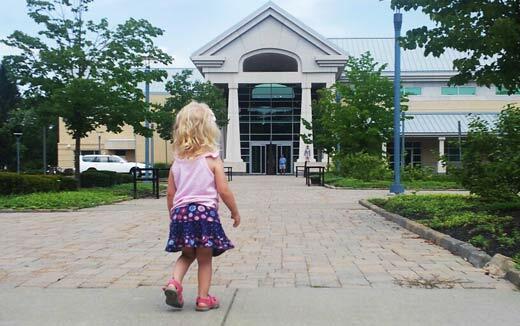 The library serves the communities of Clifton Park, Halfmoon and southern Saratoga county, and offers an extensive list of programs for all ages that includes reading clubs and computer programs for children, teens, adults as well as story time and family activities for toddlers and preschoolers. Some seasonal programs require registration while others do not. Clifton Park residents are granted priority access to registration for these programs before they are open to the general public. Resident and non-resident library cards are required for checking out books, DVD's and other materials as well as gaining internet access at the Clifton Park-Halfmoon Public Library. There is no cost for your library card, and they are available at the Circulation Desk downstairs. Your library card is good for three years and can be used at any other public library that is part of the SALS or MVLS library systems, which include libraries in Fulton, Hamilton, Montgomery, Saratoga, Schenectady, Schoharie, Washington and Warren Counties. 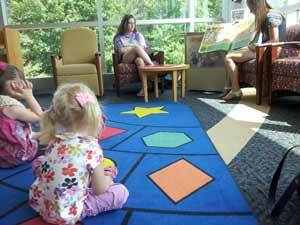 Library members and the general public can also print wireless at the Clifton Park-Halfmoon Public Library. You can print from your laptop, smartphone, and even from your home computer. This convenient option allows you to send print jobs to the library printers from any physical location. Then simply head to the circulation desk to pick up your document. For more information on this and other topics please contact the Clifton Park-Halfmoon Public Library at (518) 371-8622.